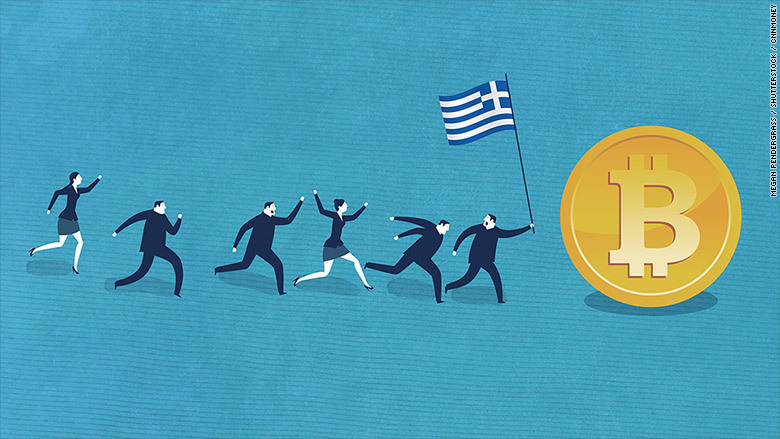 The world's largest Bitcoin exchanges tell CNNMoney they've seen a surge of business from Greece. Ten times as many Greeks are registering to trade bitcoins on the German marketplace Bitcoin.de than usual, according to CEO Oliver Flaskaemper. Bitcoin trades from Greece have shot up 79% from their ten-week average on Bitstamp, the world's third-largest exchange. "Is Bitcoin a legal currency in EU?" "Can I use Bitcurex as a bank account?" "Do you have a Bitcoin ATM network in Greece?" Bitcurex then started marketing directly to Greeks on its website: "Sign up at Bitcurex and trade for 3 months for free. No Fees for Greece!" For those wondering, yes, bitcoins can be spent legally in Europe. And yes, a digital Bitcoin wallet can be used as a sort of access-from-anywhere bank account. But that's not the hard part. 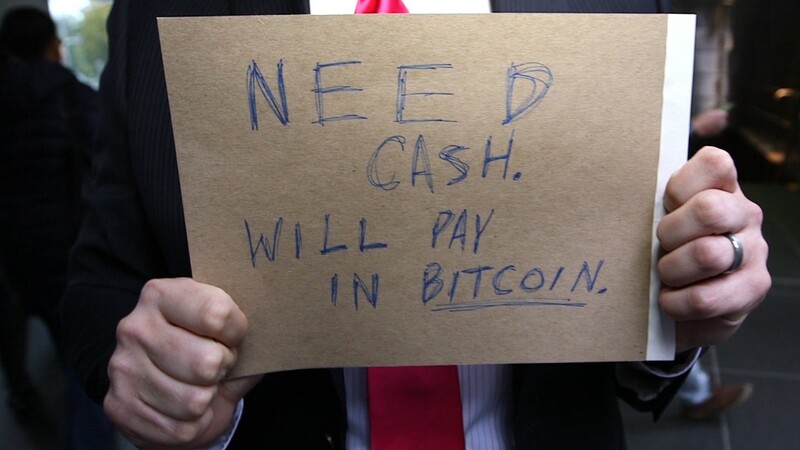 First, it's incredibly difficult to obtain bitcoins. There's a single Bitcoin ATM in all of Greece -- at a bookstore in Athens. And the most common method -- buying them in an online marketplace -- requires sending a wire transfer from a bank. But banks in Greece are closed. It's not impossible, though. The exchange Bitcoin.de said some Greeks are managing to get bitcoins, because they still get access to online banking. Meanwhile, LakeBTC said Greeks can try to find local "LakeBankers" who are willing to sell some of their Bitcoin stash using paper cash or PayPal. The second challenge? There aren't many ways to spend them in Greece anyway. According to one publicly maintained registry, BitcoinMaps, there are only half a dozen spots in Athens that accept Bitcoin as payment. Among them: a family restaurant called Angel Tavern, a head-and-neck surgeon, and a yacht rental company. As CNNMoney documented last year, it's difficult to live entirely on Bitcoin -- even in high tech, modern New York City. Share your story: Are you Greek? Now interested in Bitcoin? But keep your wits about you. Filip Godecki, the spokesman for the Bitcurex marketplace, said it's unrealistic to think Greeks everywhere will suddenly ditch the Euro and start conducting business in Bitcoin. "I'm not so sure Greeks will start buying cheese with Bitcoin on Wednesday," he said. "But I think something changed in their minds [with the bank closures]. Greek people will start thinking about fiat currencies as something not so safe for savings." The biggest downside for Bitcoin is that it's extremely volatile. In November 2012, a bitcoin was worth $11. That skyrocketed to $1,100 a year later. On Monday, a bitcoin was trading at $253. But that shaky price shouldn't keep Greeks away, Godecki said. Or worries that this electronic currency isn't real money. "You can't be cut off from Bitcoin," he said. "It can be much more real than the inaccessible money in the bank."